Joseph "Sepp" Blatter [lower-alpha 1] (born 10 March 1936)  is a Swiss football administrator who was the eighth President of the FIFA (French: Fédération Internationale de Football Association) from 1998 to 2015. He is currently serving a six-year ban from participating in FIFA activities. From a background in business, public relations, and sports administration, Blatter became general secretary of FIFA in 1981 and was then elected president at the 51st FIFA Congress on 8 June 1998, succeeding João Havelange, who had headed the organization since 1974. Blatter was reelected in 2002, 2007, 2011, and 2015. Like his predecessor Havelange, Blatter sought to increase the influence of African and Asian countries in world football through the expansion of participating teams in various FIFA tournaments. He has persistently been dogged by claims of corruption and financial mismanagement. Blatter's reign oversaw a vast expansion in revenues generated by the FIFA World Cup accompanied by the collapse of the marketing company International Sport and Leisure and numerous allegations of corruption in the bidding processes for the awarding of FIFA tournaments. International Sport and Leisure (ISL) was a Swiss sports marketing company that was closely bound to FIFA. Blatter was born in Visp in the Swiss canton of Valais with the given name of Josef. He studied in Saint Maurice, before getting a degree in business and economics from the University of Lausanne in 1959. Blatter has had a long and varied career, including posts such as head of public relations for the tourist board of his native canton, as well as general secretary of the Swiss Ice Hockey Federation. Visp is the capital of the district of Visp in the canton of Valais in Switzerland. Saint-Maurice, or Saint-Maurice d'Agaune, is a small city located in the canton of Valais in Switzerland. It is also the capital of the district and of the municipality of Saint-Maurice. The district of Saint-Maurice (district) is composed with 9 municipalities : Collonges, Dorénaz, Evionnaz, Finhaut, Massongex, Salvan, St-Maurice, Vernayaz and Vérossaz. On 1 January 2013, the former municipality of Mex merged into the municipality of Saint-Maurice. The University of Lausanne in Lausanne, Switzerland was founded in 1537 as a school of theology, before being made a university in 1890. As of fall 2017, about 15,000 students and 3,300 employees study and work at the university. Approximately 1,500 international students attend the university, which has a wide curriculum including exchange programs with world-renowned universities. Blatter and FIFA have often been dogged by controversy and allegations of corruption. His tenure has seen controversy over allegations of financial mismanagement and the acceptance of bribes resulting in Qatar's successful 2022 World Cup bid. 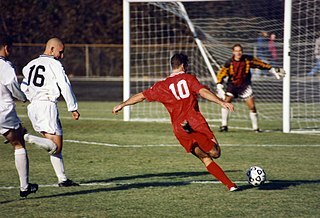 Blatter was criticized in 2007 and 2008 for trying to change European Union employment law regarding the number of foreign players that football clubs could field at any one time. His plans were to set a restriction of five foreign players and having six players from the said team's own nationality. 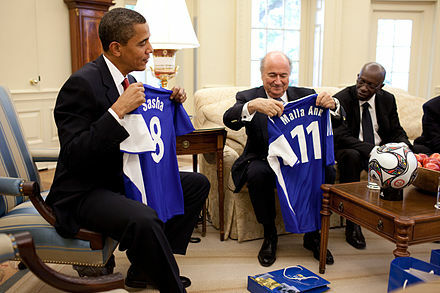 Blatter believed this would help the countries' national sides by having more national players playing in their leagues. However, since all of the bids for the 2018 World Cup were from European nations, and FIFA's rules dictate that countries belonging to confederations that hosted either of the two preceding tournaments are not eligible to host,  the bids of England, Russia, Netherlands/Belgium and Spain/Portugal were forced to be for 2018 only. Two days later, Blatter stated that he deplored the "evident referee mistakes" in the England v Germany and Mexico v Argentina matches, and apologised to the English Football Association and the Mexican Football Federation (the two organizations directly concerned by the referees' mistakes), acknowledging that Lampard had indeed scored against Germany and that Tévez's goal against Mexico had been scored from an offside position. There being no other nominations, Blatter ran unopposed in the ensuing presidential election and was re-elected for a fourth term, with 186 of the 203 votes cast. In his campaign, Blatter had stipulated that, if re-elected in 2011, he would not run again for president. Blatter received criticism for not postponing his 2011 election in which his term as FIFA President was extended through 2015, despite the fact that all other candidates for the role had been suspended or withdrew. Amidst internal divisions, FIFA's secretary-general Blatter's deputy and former protégé Michel Zen-Ruffinen drew up a 30-page dossier outlining allegations of financial mismanagement within the organisation. The dossier alleged that the collapse of FIFA's marketing partner ISL had led to losses of up to $100m under Blatter's management. The allegations were backed by Johansson,  and the dossier was handed to the Swiss authorities, but they cleared Blatter of any wrongdoing and FIFA had to pay all the costs. An internal investigation within FIFA was halted by Blatter because members of it broke confidentiality agreements. This questionable behaviour led him to remove Zen-Ruffinen from office immediately before the 2002 FIFA World Cup. In 2015, elections were scheduled for the FIFA presidency, in which Blatter was again the incumbent candidate, running for a fifth consecutive term. Prince Ali bin Hussein was his opponent in the election. Blatter married for a third time on 23 December 2002, to Graziella Bianca, a dolphin trainer who was a friend of his daughter. Their marriage ended in divorce in 2004. 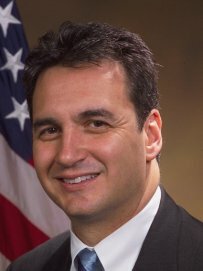 [ better source needed ] Since 2014, he is in a domestic partnership with Linda Barras. Michel François Platini is a French former football player, manager and administrator. Regarded as one of the greatest footballers of all time, Platini won the Ballon d'Or three times, in 1983, 1984 and 1985, and came sixth in the FIFA Player of the Century vote. In recognition of his achievements, he was named Chevalier of the Legion of Honour in 1985 and became Officier in 1988. As the president of UEFA in 2015 he was banned from football, over ethics violations. Ricardo Terra Teixeira is the former president of the Brazilian Football Confederation (CBF). He was in the office from January 16, 1989 to March 12, 2012. In July 2012 a Swiss prosecutor's report revealed that, during his tenure on FIFA's Executive Committee, he and his former father-in-law Joao Havelange took more than $41 million in bribes in connection with the award of World Cup marketing rights. The Qatar 2022 FIFA World Cup bid was a bid by Qatar to host the 2022 FIFA World Cup. With a population of 2 million people, Qatar will be the first Arab state to host the World Cup. Sheikh Mohammed bin Hamad bin Khalifa Al-Thani, son of Hamad bin Khalifa Al Thani the then Emir of Qatar, was the chairman of the bid committee. Qatar promoted their hosting of the tournament as representing the Arab World, and has drawn support from across the member states of the Arab League. They also positioned their bid as an opportunity to bridge the gap between the Arab World and the West. 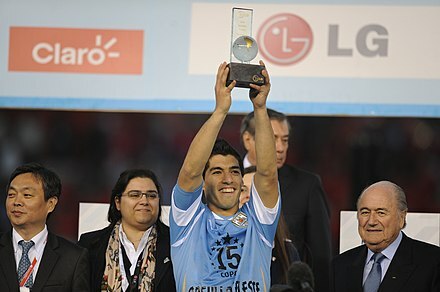 The 61st FIFA Congress was held between 31 May and 1 June 2011 at the Hallenstadion in Zurich, Switzerland. FIFA is the governing body of world association football, and the congress is the annual meeting of FIFA's supreme legislative body. This is the eighth congress to be held in Zurich, and the first since 2007. After an opening ceremony and a reminder of FIFA events and activities in 2010, the second day witnessed decisions taken, and the unveiling of the 2010 financial results. The opening ceremony was presented by Melanie Winiger, and featured singer Grace Jones, hammered dulcimer player Nicolas Senn, and juggler Alan Šulc. ChangeFIFA was a campaign organisation, established in 2010 with the stated aim of making FIFA, the ruling body of world soccer, more "fair and accountable". The awarding of the 2022 FIFA World Cup to Qatar created a number of concerns and controversies regarding both Qatar's suitability as a host country and the fairness of the Fédération Internationale de Football Association (FIFA) bidding process. Criticism from a number of media outlets, sporting experts, and human rights groups highlighted problems such as Qatar's limited football history, the high expected cost, the local climate, and Qatar's human rights record. There have been numerous allegations of bribery between the Qatar bid committee and FIFA members and executives. Several FIFA members have since gone on record saying that the decision to award the tournament to Qatar was a "mistake" which includes Theo Zwanziger and ex-president Sepp Blatter. The Garcia Report was an investigation produced by Michael J. Garcia into allegations of corruption in world association football. Garcia was appointed in July 2012 to investigate ethical breaches at the FIFA, football's world governing body. A month later he announced an investigation into persistent public accusations of bribery and corruption in the 2018 and 2022 FIFA World Cup bids, which had been won in 2010 by Russia and Qatar respectively. ↑ "Zum 75. Geburtstag von Sepp Blatter: Top Ten und Bilderstrecke – 11 Freunde". 11FREUNDE.de. ↑ Lisbach, Bertrand; Meyer, Victoria (5 June 2013). Linguistic Identity Matching. Springer Science & Business Media. p. 73. ISBN 9783834820952 . Retrieved 1 June 2015. ↑ "Sepp Blatter profile: How a wedding singer became the most powerful player in football". ITV News. 29 May 2015. Retrieved 30 October 2015. 1 2 Clifford, Stephanie; Apuzzo, Matt (27 May 2015). "After Indicting 14 Soccer Officials, U.S. Vows to End Graft in FIFA". The New York Times. Retrieved 2 June 2015. ↑ "FIFA President to lay down his mandate at extraordinary elective Congress". FIFA. 2 June 2015. Retrieved 2 June 2015. ↑ "Criminal proceedings against the President of FIFA". Office of the Attorney General of Switzerland. 25 September 2015. Retrieved 27 September 2015. ↑ "Fifa: Sepp Blatter faces criminal investigation". BBC. 25 September 2015. Retrieved 25 September 2015. ↑ "FIFA President Sepp Blatter and Other Top Officials Suspended". New York Times. 8 October 2015. Retrieved 8 October 2015. ↑ Evans, Simon (21 December 2015). "Blatter and Platini banned by FIFA for eight years". Reuters . Retrieved 21 December 2015. 1 2 Sepp Blatter & Michel Platini lose Fifa appeals but bans reduced, BBC Sport, 24 February 2016. Retrieved 24 February 2016. ↑ "Gianni Infantino elected FIFA President" (Press release). FIFA. 26 February 2016. Retrieved 26 February 2016. ↑ Hubbard, Alan (27 May 2001). "Korea move is a blow for Blatter". The Independent. London. Retrieved 23 May 2010. ↑ "Wrong again". The Guardian. London. 19 August 2008. Retrieved 23 May 2010. ↑ McDonnell, Daniel (10 June 2008). "Home-grown revolution". Irish Independent. ↑ "Joseph "Sepp" Blatter elected new FIFA president". Fox Sports. 8 June 1998. Archived from the original on 10 June 1998. Retrieved 1 September 2014. ↑ "Blatter set for third FIFA term". BBC. 2 April 2007. Retrieved 3 April 2007. ↑ "Everything You Need to Know About FIFA's Corruption Scandal". WIRED. 27 May 2015. ↑ "Fifa corruption inquiry: Sepp Blatter defies calls to quit". BBC News. ↑ Edwards, Luke (17 November 2011). "Sepp Blatter responds directly to Rio Ferdinand on Twitter as Fifa president criticised over racism comments". The Daily Telegraph. London. ↑ "Sepp Blatter says sorry for racism". BBC News. 18 November 2011. ↑ "De Volkskrant Van Praag: 'Optredens Blatter potsierlijk' (Dutch)". De Volkskrant. 11 December 2013. ↑ Der Abwehr-Profi Archived 14 July 2014 at the Wayback Machine , Berlinander Zeitung, 9 June 2006. ↑ "Sion fans heckle Sepp Blatter mercilessly in home town of Visp" . Retrieved 13 June 2014. ↑ "Sepp Blatter Booed – Women's Olympic Football Final Medal Ceremony – Wembley Stadium – LONDON 2012" . Retrieved 13 June 2014. ↑ "Brazilian president Dilma booed before Brazil-Japan, Blatter calls for respect, booed as well!" . Retrieved 13 June 2014. ↑ "Brazil World Cup: Fifa scraps speeches to avoid protest". BBC. Retrieved 13 June 2014. ↑ Campbell, Denis; Kuper, Simon (21 March 1999). "$1m 'fixed' the FIFA poll, author claims". The Observer. ↑ Jennings, Andrew (28 February 2002). 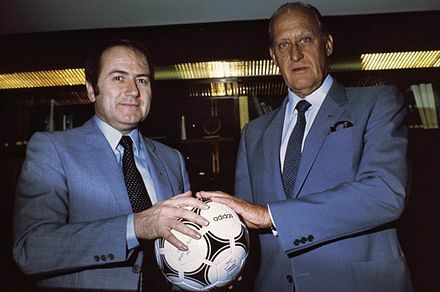 "Havelange to Blatter, the dynasty based on corruption". ESPN.com Soccernet. ↑ FIFA president Blatter accused of corruption, The Irish Times citing Reuters, 04–05–02. ↑ "Bribery allegation over FIFA poll". CNN. 28 February 2002. ↑ "Blatter criticizes referee Ivanov". BBC. 26 June 2006. Retrieved 26 June 2006. 1 2 "World-Blatter regrets criticism of referee Ivanov". Reuters. 4 July 2006. Archived from the original on 7 July 2006. ↑ "Fifa's Sepp Blatter fears Premier League 'damage'". The Daily Telegraph. 6 March 2009. Retrieved 2 June 2015. ↑ "Blatter worried Premier League is damaging foreign leagues". The Guardian. London. 6 March 2009. Retrieved 23 May 2010. ↑ Rowan, Paul (1 March 2009). "Sepp Blatter fires broadside at greedy English". The Times. London. Retrieved 23 May 2010. ↑ "Blatter Implores Platini To Enforce Tighter Ownership Rules". SportsBusiness Daily. 7 October 2008. Retrieved 2 June 2015. ↑ Eason, Kevin (7 October 2008). "Sepp Blatter gets tough on foreign owners of Premier League clubs". The Times. London. Retrieved 23 May 2010. ↑ "Russia & Qatar will host the 2018 and 2022 World Cups". BBC Sport. 2 December 2010. Retrieved 14 December 2010. ↑ "Boost for England's 2018 World Cup bid as FIFA want European host". Mirror Online (UK). 19 February 2010. Retrieved 2 June 2015. ↑ Dunbar, Graham (3 December 2009). 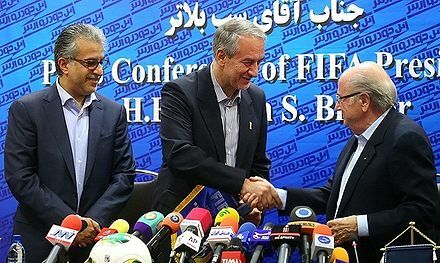 "Bid teams focus on 2018, 2022 WCup hosting prize". USA Today . Retrieved 10 December 2009. ↑ "Rotation ends in 2018". Fédération Internationale de Football Association. Archived from the original on 1 November 2007. Retrieved 10 October 2007. ↑ Owen Gibson in Bloemfontein (28 June 2010). "World Cup 2010: Stubborn Fifa rules out using goal-line technology at guardian.co.uk". The Guardian. London. Retrieved 20 June 2013. 1 2 "Fifa: Mohamed Bin Hammam of Qatar ends presidential bid". BBC. 29 May 2011. ↑ "Mohamed bin Hammam says Sepp Blatter's time as Fifa president is up". The Guardian. London. 21 March 2011. ↑ Bryant, Tom (29 May 2011). "Sepp Blatter cleared as FIFA suspends Bin Hammam and Warner". London: FIFA. ↑ "New gaffe from FIFA's Blatter". Eurosport. 10 January 2011. Archived from the original on 10 July 2011. Retrieved 10 January 2011. ↑ "Blatter re-elected as FIFA president". ESPN Soccernet. 1 June 2011. Retrieved 1 June 2011. ↑ Kelso, Paul (1 June 2011). "Fifa congress and presidential election: live". The Daily Telegraph. London. Retrieved 1 June 2011. ↑ "Blatter could face corruption probe". BBC Sport. 4 May 2002. ↑ Mikrut, Jack (19 May 2002). "Last Man Standing". Time. ↑ "Fifa sues Blatter". BBC Sport. 8 May 2002. 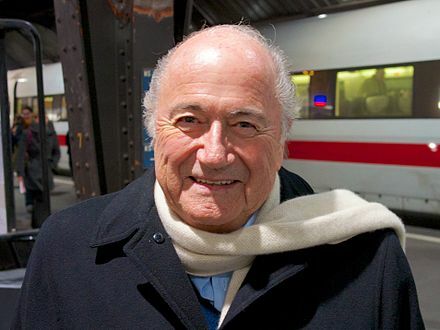 ↑ Blatter cleared of corruption, swissinfo.org, 4 December 2002. ↑ "Blatter suspends FIFA investigation". BBC Sport. 12 April 2002. ↑ "Council of Europe criticises Sepp Blatter's handling of ISL bribery case". The Guardian. London. Press Association. 23 April 2012. ↑ Paul Gittings (24 April 2012). "Council of Europe report criticizes Blatter in ISL corruption case". CNN. ↑ "Sepp Blatter calls England bid team 'bad losers'". BBC Sport. 8 December 2010. Retrieved 14 December 2010. ↑ "Fifa boss Sepp Blatter sparks Qatar gay controversy". BBC Sport. 14 December 2010. Retrieved 14 December 2010. ↑ "Sepp Blatter beats Prince Ali to be named FIFA president for 5th term". ESPN. 29 May 2015. ↑ "Sepp Blatter to resign as Fifa president – as it happened". The Guardian. 3 June 2015. Retrieved 4 June 2015. ↑ "Sepp Blatter to resign as Fifa president amid corruption scandal". BBC Sport. 3 June 2015. Retrieved 4 June 2015. ↑ "Fifa: Sepp Blatter to quit as president amid corruption scandal". BBC. 2 June 2015. ↑ "Sepp Blatter Decides to Resign as FIFA President in About-Face". The New York Times. 2 June 2015. ↑ "Sepp Blatter stepping down, says FIFA needs 'profound overhaul'". CNN. 2 June 2015. ↑ "Sepp Blatter: 'I did not resign … I'm not ready for the museum or a waxwork'". The Guardian. 26 June 2015. ↑ "Sepp Blatter will step down, confirms there was sponsor pressure for him to leave". NBC Sports. 26 June 2015. ↑ "Fifa: Sepp Blatter faces Swiss criminal investigation". BBC News. ↑ David Conn. "Sepp Blatter and Michel Platini deny wrongdoing over £1.35m payment". the Guardian. ↑ "BBC Sport - Sepp Blatter: Coca-Cola among sponsors saying Fifa boss must go". BBC Sport. ↑ "BBC Sport - Sepp Blatter: FIFA suspend Sepp Blatter". BBC Sport. ↑ Gibson, Owen (21 December 2015). "Sepp Blatter and Michel Platini banned from football for eight years by Fifa". The Guardian . Retrieved 21 December 2015. ↑ Conn, David; Marques, Nelson (10 November 2017). "Hope Solo accuses Sepp Blatter of sexual assault at awards ceremony". The Guardian. Retrieved 11 November 2017. ↑ Wilkinson, James (11 November 2017). "Ex-Fifa president Sepp Blatter, 81, says claims that he groped US Olympic soccer star Hope Solo, 36, are 'absurd'". Daily Mail. Retrieved 11 November 2017. ↑ "Sepp Blatter: Hope Solo accuses ex-Fifa president of sexual harassment". BBC. 10 November 2017. Retrieved 11 November 2017. ↑ "Mr Joseph S. BLATTER". International Olympic Committee. Archived from the original on 19 June 2014. Retrieved 17 June 2014. ↑ Sepp Blatter has been stripped of an honorary degree. BBC Sport (2015-12-22). Retrieved 2018-05-01. ↑ "Fifa-Pate Sepp Blatter: Wie tickt der Skandal-Präsident?". Focus . 28 May 2002. Retrieved 3 June 2015. ↑ David Jones (4 June 2011). "From wedding singer to FIFA's Godfather: The hidden secrets of Sepp Blatter". Daily Mail . Retrieved 5 June 2015. ↑ Will Dean (1 June 2015). "The real Fifa scandals: Sepp's yodelling, the flop movie and his Dr Strangelove bunker". The Guardian . Retrieved 3 June 2015. ↑ Fagge, Nick (6 June 2015). "Husband of Sepp Blatter's married lover is 'comfortable' with their odd relationship - but will she stick by shamed Fifa boss now he's facing FBI arrest and spends his nights in 'eating cheese'?". The Daily Mail. Retrieved 9 September 2015. ↑ "Sepp Blatter - La biographie de Sepp Blatter avec Gala.fr". Gala.fr (in French). Média Prisma. Retrieved 7 April 2017. ↑ Rob Harris (29 May 2015). "FIFA's Sepp Blatter Faces Biggest Challenge To Controversial Reign". AP. Retrieved 27 September 2015. Wikimedia Commons has media related to Joseph Blatter .